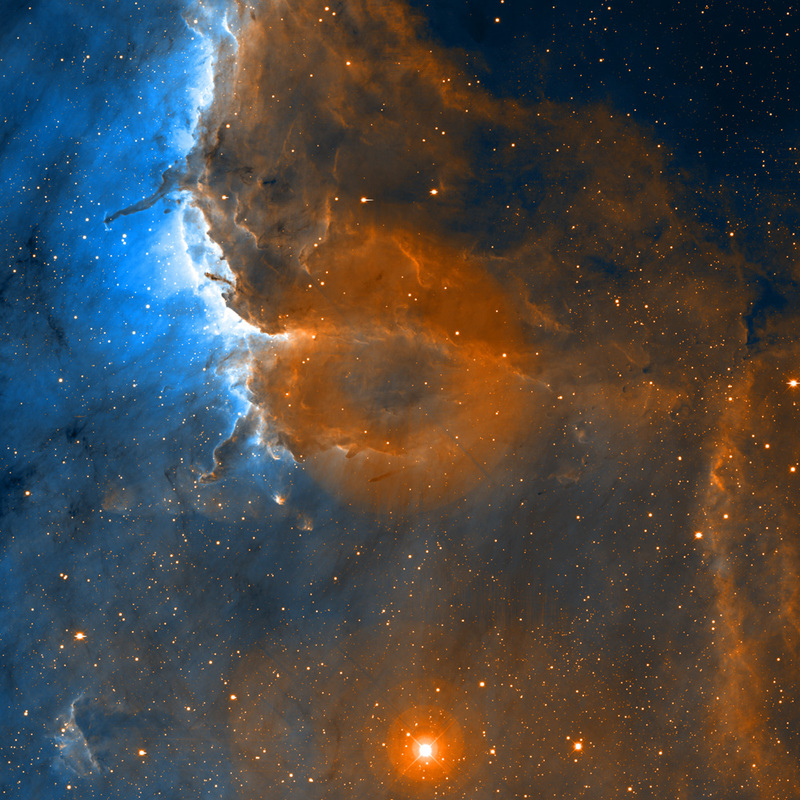 Explanation: What's happening to the Pelican Nebula? 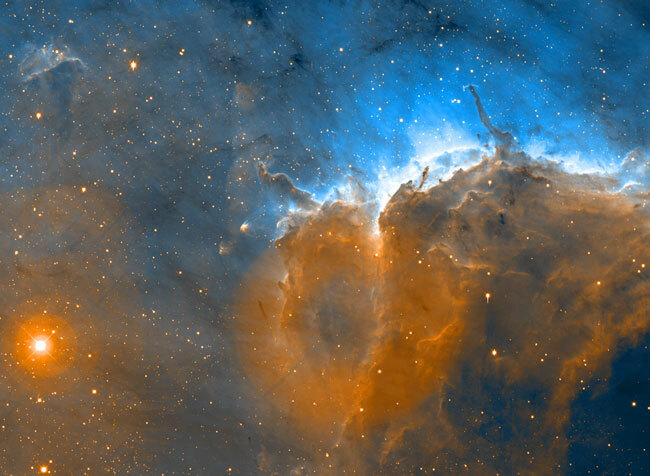 The light from young energetic stars is slowly transforming the Pelican's cold gas to hot gas, with the advancing boundary between the two known as an ionization front. Most of these bright stars lie off the top of the image, but part of the bright ionization front crosses on the upper right. Particularly dense and intricate filaments of cold gas are visible along the front. Millions of years from now this nebula might no longer be known as the Pelican, as the balance and placement of stars and gas will leave something that appears completely different. The above image was taken with the Mayall 4-meter telescope at Kitt Peak National Observatory in Arizona, USA. The large circular artifact below the image center is not real. The nebula, also known as IC 5070, spans about 30 light years and lies about 1800 light years away toward the constellation of Cygnus.